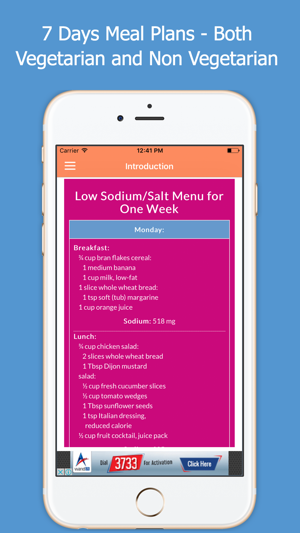 The Dietary Guidelines for Americans recommend limiting sodium to less than 2,300 mg a day — or 1,500 mg if you're age 51 or older, or if you have high blood pressure, diabetes or chronic kidney disease. 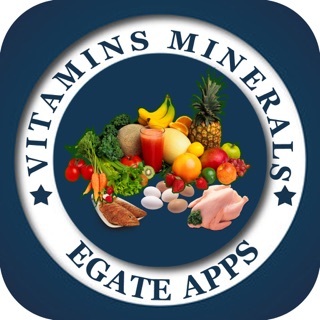 • No personal data is saved or requested from the user of the app. 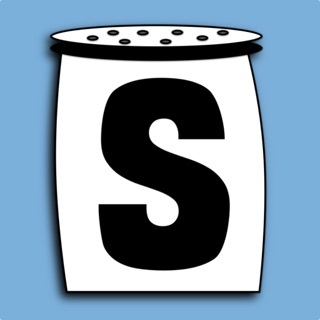 Once app is deleted, all favourites and grocery lists of user are deleted. 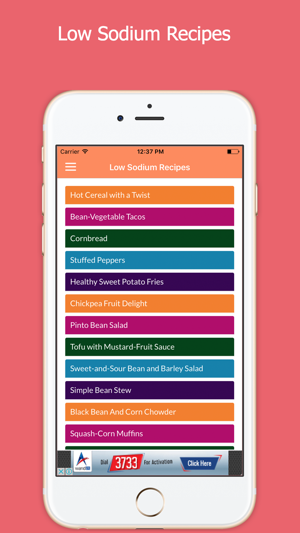 Eat healthy with these nutritious foods containing low sodium quantity. 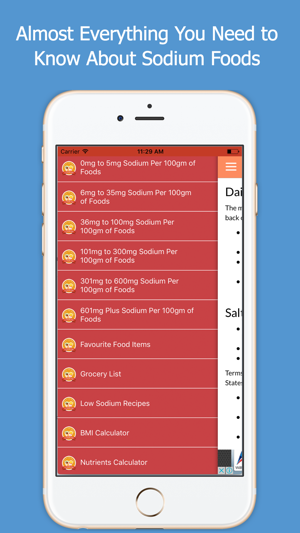 Foods are displayed in order from lowest to highest quantity of sodium. 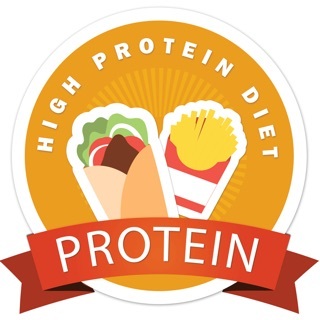 The quantity of nutrient will be based on 100 grams of each food. 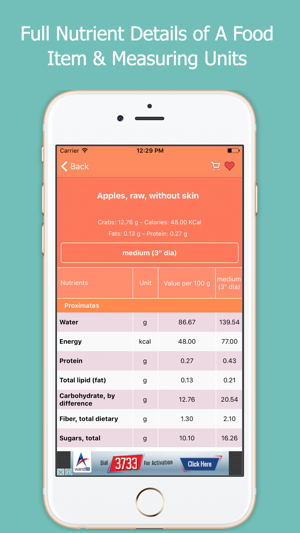 Further you can see the complete nutritional detail for each food item against various units. 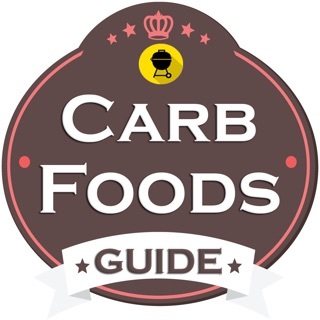 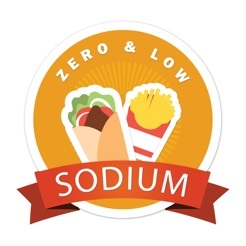 We are not recommending any food items, but we are only listing foods which have zero or very low sodium. 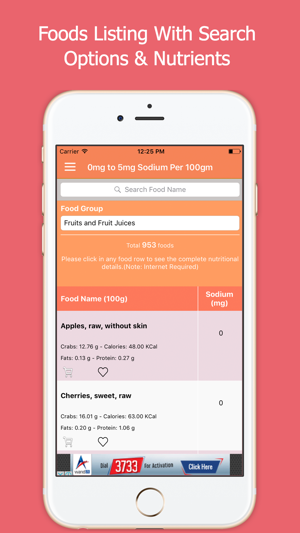 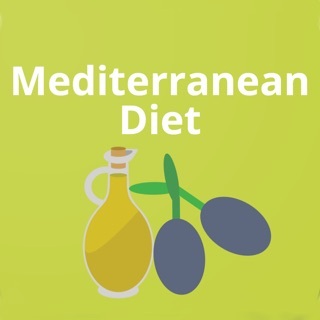 PLEASE CONSULT WITH YOUR DOCTOR, OR OTHER QUALIFIED HEALTH CARE PROFESSIONAL BEFORE USING ANY FOOD LISTED WITHIN THIS APP.